Once an exotic product found only in Japanese shops, most craft stores now carry washi tape. I harbor mixed feelings about my own small stash. I like that it is made from natural fibers and that it comes in so many colors, prints and widths. But its low-tack character leaves me adding glue to the tape and its translucency sometimes stumps me when it comes to an overlapping design. 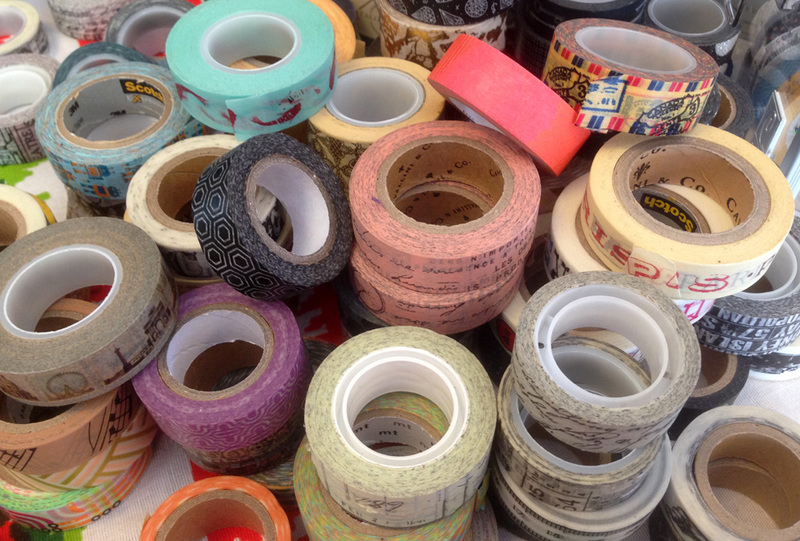 One of my friends reorganized her washi tape collection last week. All those piles of circles reminded me of colorful little tires. That got me thinking about how those circles would produce miles of straight lines. There is some kind of design irony in that.